The UK’s aviation sector is steadily approaching maximum capacity, making airport expansion and development the only way to secure the £52bn industry and its potential future growth. Among those meeting rising demand and catering for busy business travellers is London City Airport. Until current COO Darren Grover stepped onto the runway, the capital’s most geographically convenient airport lacked the facilities to accommodate private jets. Within the first five years of being established, the airport’s jet centre experienced a 400 percent increase in movements and has become one of the busiest in the country. The airport’s popularity stems from its ‘90 second experience’, which enables business travellers to go door-to-door faster than at any other airport in the UK. Its geographical location is another key feature, being just three miles from Canary Wharf and five miles from the City. European CEO spoke to Darren Grover about the airport’s plans to expand and upgrade its facilities in a bid to attract even more of the business world than ever before. How did you build London’s first jet centre from the ground up? In 2001, I was running private jet centres at Stansted Airport. The former owner of London City Airport was a big user of private jets, but wasn’t able to bring them into his own airport because he didn’t have a facility at the time. So, they asked that I design the jet centre for them, among other things. It was a challenge, because London City Airport has a short runway and a steep approach, so not many aircraft in the private jet business were able to physically land there, as they didn’t have the correct performance criteria at the time. So, one stream of work was to design and build the jet centre facility itself, the other was finding a way for different aircraft types to be able to land. This involved getting several European operators on board and lobbying manufacturers to make modifications to their aircraft avionics and software, which we did very successfully. We opened in 2002, and by 2007 we were the third-busiest jet centre in the UK; our location lent itself to that. Does it really take just 90 seconds from door to take-off? It absolutely does. It’s very easy to design something that has wonderful lounges, but the route that you then have to take passengers through can spoil the experience. We want people to arrive here and get on their aircraft with absolutely no delays. One of the key criteria for me when we were designing the facility was having a minimum distance between front door and aircraft door, and we absolutely meet the 90-second claim every day – quicker, if you want it to be. If clients want to take it a little slower, what can they enjoy? Let’s assume that you arrive first in your travelling party and wish to wait for other passengers; we’ve got beautiful lounges where you can relax, listen to music and watch the news. You can drink champagne or fine wines, you can do whatever you’d like to do, and we’ll look after you very well. If you want to just arrive and go, then that’s what we are geared-up to do. What do you think about the Airports Commission’s proposed expansion of the UK’s aviation capacity? The UK needs more capacity, it’s simple. When you look at recent studies and the volumes of traffic that are forever growing, it is evident to anyone in aviation that there is a shortage of capacity, and something has to be done urgently. So, in my opinion, it should happen as fast as it possibly can in order to keep the UK competitive. If we don’t do anything, we risk losing billions of pounds in our economy to other European cities; airlines need to continue to grow, and if they can’t do it in the UK, there are other places they can. What are your thoughts about the fact that London City Airport was not considered for expansion? It’s really very simple, we are a small airport in the middle of a dock, so there’s physically no room for a second runway – it could never happen. However, the Commission did seek our opinion, so we were involved in that way. The second reason is that we are not a big hub airport, nor do we wish to be. We just weren’t a right fit for this piece of work, and so it was appropriate to not be included. 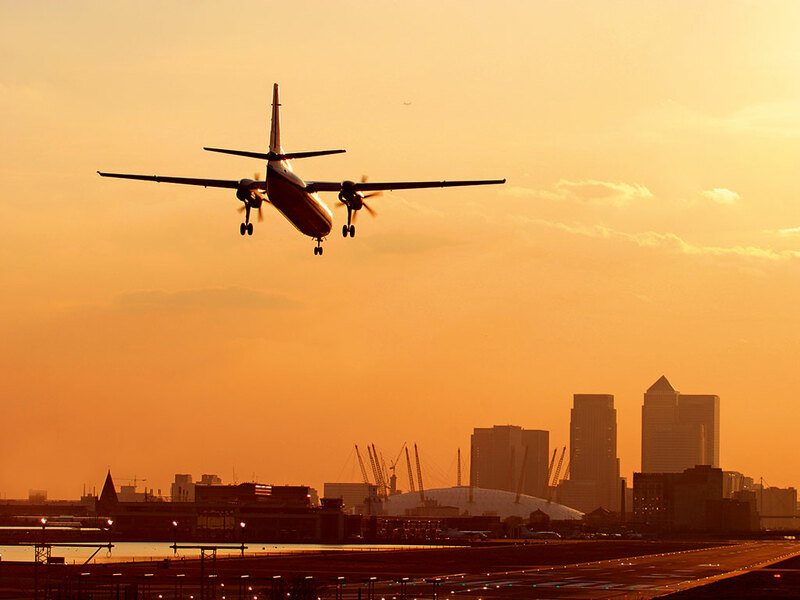 What is the advantage of London City Airport’s location near Canary Wharf? We are the only airport in London. Lots of airports put the word London in front of their name, but when you look at their postal address, they’re actually located in different parts of the UK. If you’re flying out on business, we eliminate having to spend two or three hours travelling to, and then waiting in, an airport. It takes around 12 minutes to get to London City Airport from Canary Wharf on the DLR, literally door-to-door. Once you walk into our airport, we guarantee that within 20 minutes you can be through check-in and security, and arrive at the gate that you’re travelling from. So, the advantage that we offer is very simple: we are giving time back to customers. It’s just a convenience factor for our passengers; we’re on their doorstep, which allows them to stay longer in their offices and leave at the last minute, if that’s what they want to do. Would you like to see further investment in London City Airport? In what areas would it be most useful? That’s a very topical question, as we were recently fortunate enough to have the London Borough of Newham approve the planning application that we’ve been working on for the last two or three years. This is for a £200m expansion programme, which involves building seven new stands over the dock, a new parallel taxiway and runway links, as well as expansions and upgrades to our terminal facilities. New east and west piers will also be built, including everything that goes with that, such as new security, new immigration facilities and new outbound baggage sortation amenities. It’s a wholesale investment and an upgrade of London City Airport and its infrastructure, which is scheduled to start later this year. What is on the horizon for London’s only private jet centre? As part of the wider airport expansion plan, the jet centre will continue to be refreshed and upgraded, as it’s important not to allow the facility to become dated and stale. We’re also looking at new ways to expand our parking facilities, because on certain days we are extremely busy. However, the real focus over the next 12 months is to improve our service offering, particularly for our visiting crews. We think that our passenger proposition is pretty good right now and it was very recently upgraded, so we need to look again at what we can do for the visiting crew, especially if they arrive at our jet centre in the morning and are waiting the entire day for their passengers to go out again. We have to do a first-class job of making sure that the crew is looked-after, happy and well-rested, so that’s what we’re going to be investing in and working on over the next year.